I loved this book. 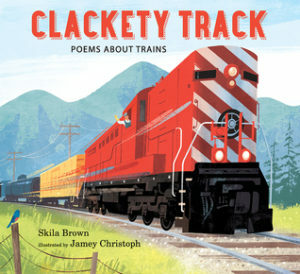 The poems were cute, and I liked how the book contained lots of different trains. I have younger siblings who love trains and they would LOVE this book. Each page shows something different about what trains can do and it also includes interesting facts about each train. The only thing I did not like about the book was that they did not show a clear picture of what the snow train looks like.